Return a Toner offer an unique service to any business or person wishing to recycle their printer toner cartridges, mobile phones or IT equipment. We do not use a courier service within a 200 mile radius we only use our own collection agents, therefore we can pay you upon collection for any printer cartridges that hold a market value giving you the opportunity to either donate the proceeds to a charity of your choice or simply putting the funds back into your organisation. You can see exactly how much funds you have raised and also if you wish you can receive the recognition for your donations, we leave it entirely up to you what you wish to do with your own proceeds. 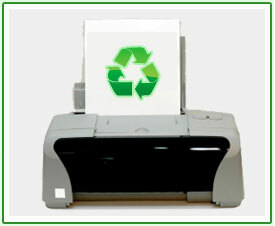 Return a Toner has learnt through experience the headache that can go with recycling waste so this is why we try to keep things as simple as possible with the following points. 1. 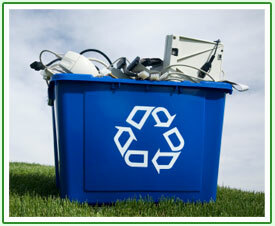 All collections of empty printer cartridges and mobile phones are FREE OF CHARGE. 2. No couriers will be used with in a 200 mile radius. 3. You will be supplied with your own collection agent with a direct contact number. 4. No sorting, lifting or packing of your empty cartridges or mobile phones your collection agent will do all this for you. 5. All payments, waste transfer notes and certificates will be produced to yourself upon collection. 6. Nothing goes into landfill. All you need to do is contact us when you are ready for a collection and we will do the rest for you.